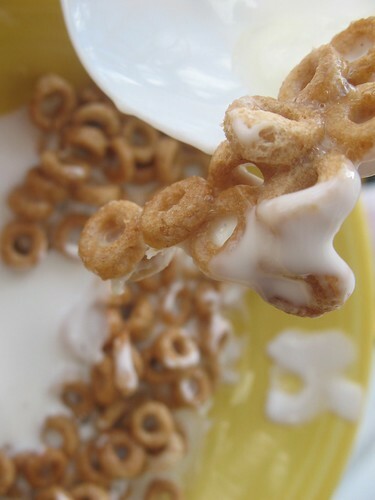 a little glue-as-milk-bowl-of-cheerios started the day. this was the one smiling moment of the morning. big foot pranks to send home to waiting families. the anticipation in the preschoolers was wonderful. funny, funny stuff, i tell you. Next the art of spinning and free shows…edited. Oh what creativity — it sounds like such a ball! We have had so so many ketchup spills at our house today. The best was the one on my laptop keyboard. What cute ideas you had – and can I tell you how much M loves yanking that disc away from me? So fun. 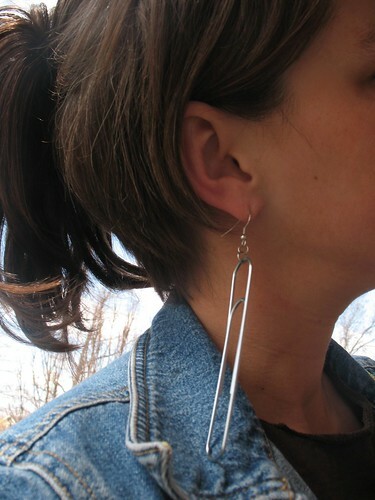 mmm – love the pony tail!! :) and all the silly fun!! Your life looks so fantastical. I love it. Those are all such funny, funny things. You are a clever one miss kristin!! I’ve got to say April fools has never been my thing but next year I think I might need to steal a bunch of these ideas for our own entertainment! That ponytail is a funny idea. How do you do the ketchup spills? My kids are old enough to be expecting something on that day; maybe I could do it a few days from now! oh my…i am in love with your blog! found you surfing around…honestly can’t remember now how i found you…but i feel we are so much alike! i am not teaching at the moment. i decided to take a few years off to stay at home with my sweet boy. i taught 3/4th grade and miss them all very much. looking at your photos and posts made me feel very much at home…very familiar. glad to have found you. looking foward to reading more!